"I didn't see you in church last Sunday, Nigel. I hear you were out playing football instead." "That's not true, vicar. 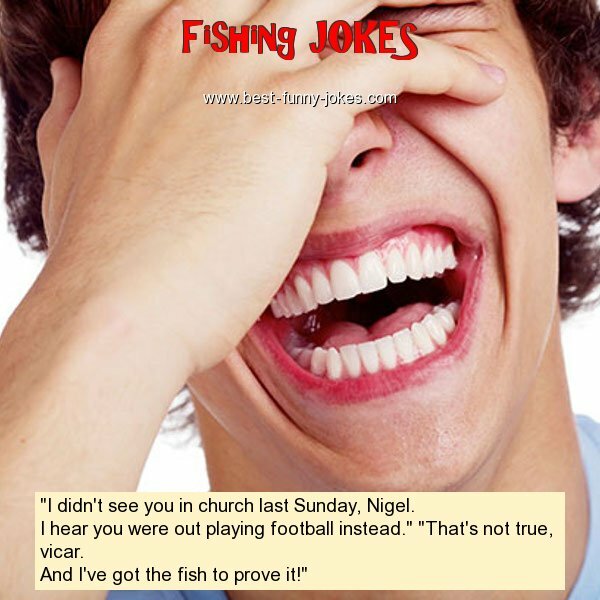 And I've got the fish to prove it!"